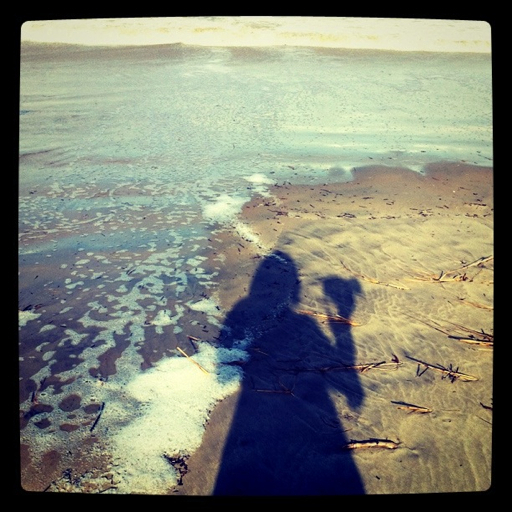 Photos and Life: Self Portrait! I need some new portraits of myself! I have a newish short hair cut (I cut my long hair after 10 years) that I love and want to capture! The big problem is that out of everyone I know I am the "Photographer". 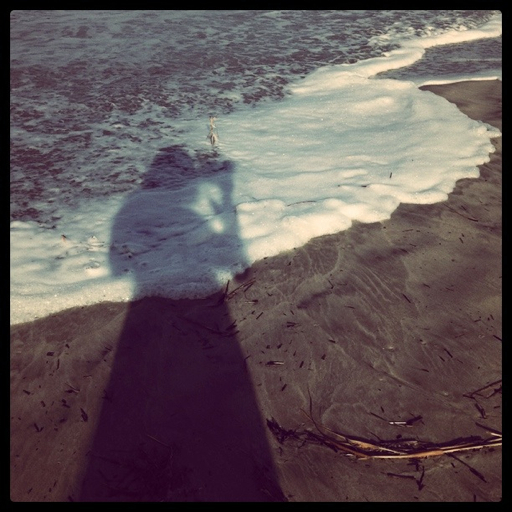 While on the beach trying to capture high tide; the sun was at my back and I was able to capture a few "self-portrait" photos. While you can't see my haircut I do think the picture came out pretty cool!